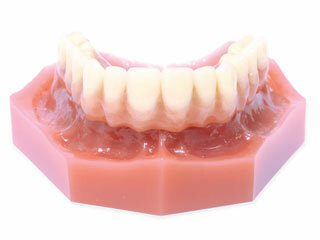 There is no reason to live with ill fitting dentures that require messy adhesives and limit the ability to chew. This is the most economical way to manage false teeth. The procedure involves the placement of 4 to 8 implants, determined by bone volume and quantity.